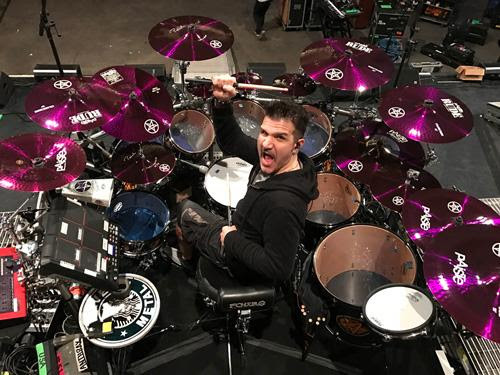 Anthrax's Charlie Benante & DMC Join Forces! LOS ANGELES, CA - (Wednesday, June 7, 2017) -- Anyone who knows Anthrax drummer Charlie Benante knows his deep and passionate love for the taste of coffee. So much so that two years ago, he launched his own line, "Benante's Blend." Today, having forged a collaboration with Chicago's Dark Matter Coffee Co., "Benante's Blend" has undergone enhancements that include higher quality choice of coffee beans, a change in the way the beans are roasted that give the coffee a larger and more flavorful taste, and other tweaks, Benante and Dark Matter are proud to announce the relaunch of "Benante's Blend." 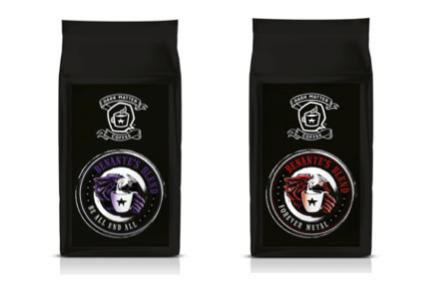 The coffee will still be available in two varieties, the "Be All End All" blend which is a dark roast with a real kick, and the "Forever Metal" blend, a milder coffee. And, despite the upgrades, Benante is keeping the price the same. "I'd been hearing about Dark Matter for awhile," said Benante. "They're based in Chicago where I live, so I tried some of their coffee and thought it was great. We hooked up, I went down to their headquarters and spent a day there just talking coffee, doing some tasting and I have to say, I felt like I was part of this coffee family. Everyone there really enjoys the art of coffee, as do I, so this was something I was really interested in being a part of. We worked together to come up with what I feel is a perfect cup of coffee, and I'm happy to say that my Benante's Blend is under the umbrella of the Dark Matter coffee family." Benante spent a good deal of time over the last ten months in Dark Matter's "cupping lab," tasting a variety of coffees, different blends, flavors and roasts. This process allowed Charlie to peer behind the curtain, learning why the Central American coffees sourced by Dark Matter are among the best in the world. After numerous blind tastings, Charlie zeroed in on what would make his perfect cup of coffee. "One of the most exciting things about working with Dark Matter," Benante added, "is that they're not just going to put out my two Benante's Blend coffee line; we're already talking about our next project, another coffee idea that will blow people away, and we're all really excited about that."